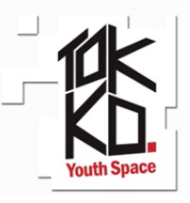 Tokko is a brand new youth facility, designed by young people, for young people. Youth club for young people with mild to moderate disabilities. The club is on Tuesday evenings between 6pm and 8:30pm during term times and is for young people between 13 and 24 years old. During some half term we plan day trips out. We welcome young volunteers who want to learn about disabilities or would like work experience. Aimed at young people who are not in education, employment or training. This is a new project for young fathers aged 14 to 24yrs old. The project has been funded by the LBC Public Health department and will be co-ordinated by TOKKO youth staff. Young fathers will receive 1-2-1 support and will have the opportunity to attend parenting classes and learn valuable skills with supporting their children. Participants will achieve an Edexcel level 1 “Parents with Prospects” qualification. For more information regarding the project contact Neil on 01582 544990. This is a project for young mothers aged 14 to 24 years old. The project has been funded by LBC Public Health Department and will be co-ordinated by TOKKO youth staff. Young mothers will receive 1-2-1 support and will have the opportunity to attend parenting classes and learn valuable skills with supporting their children. For more information regarding the project contact Nikki on 01582 544990. SNAP art workshop is an Art and Design project, that encourages young people to deal with social problems and emotions in an artisitic and creative manner. There are two SNAP workshops that are done in Tokko. The SNAP project has general drop-in on Tuesdays from 16:00 up until 19:00, and they also have another workshop on the Wednesdays between 12:00 and 16:00. For more information please call the centre.